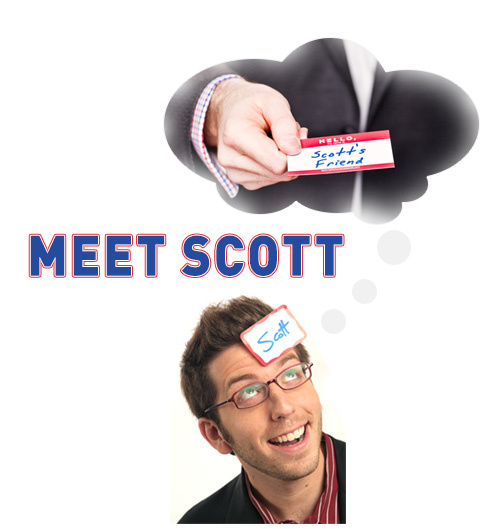 Meet Scott - HELLO, my name is Scott! Author. Speaker. Stratagist. Filmmaker. Publisher. Inventor. Songwriter. World Record Holder. 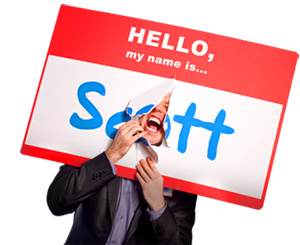 Scott’s social experiment has now evolved into an urban legend, world record, cultural phenomenon, and a profitable enterprise. 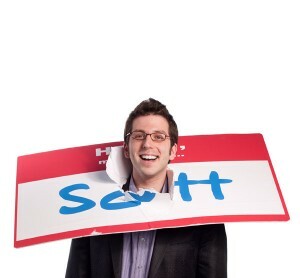 Simply google the word nametag, and you’ll see his work benchmarked as a case study on human interaction, revolutionizing the way people look at approachability, identity and commitment. And he was also inducted into Ripley’s Believe It Or Not as the world record holder of wearing nametags. He lives in Brooklyn, where he often talks to strangers.